Analysis: Can Mohammad Dahlan end the Gaza crisis? The humanitarian situation in Gaza is reaching crisis point. 96% of water in the enclave is unfit for human consumption, and the strip receives only four to six hours of electricity per day. A significant portion of the money pledged for reconstruction in Gaza after the 2014 war between Hamas and Israel has not yet reached the strip, and the Islamist group continues to divert building materials away from housing and infrastructure towards its network of terror tunnels. The strip’s recent deterioration is the product of Palestinian political infighting. Palestinian Authority President Mahmoud Abbas is determined to weaken Hamas in the hope that his Fatah party can regain control of the strip, where it lost power in 2006 elections and was subsequently forced out in a bloody civil war. To this end, Abbas has cut the electricity supply to Gaza by 40% and the salaries of PA employees by 30%, creating the current crisis. Hamas, meanwhile, continues to develop its terror infrastructure rather than serve the needs of its population. To ameliorate the water crisis, a UNICEF team completed the construction of a water desalination plant in Khan Younis this January, with the capacity to provide enough water for 75,000 Gazans. Hamas, however, refused to connect the plant to the electricity grid, preferring instead to supply power to its terror tunnels and the homes of its leaders. Since its 2014 conflict with Israel, Hamas has spent $150m on its terror tunnels, costing the equivalent of 1800 homes or 14 months of electricity for the coastal enclave. Gaza’s deterioration is against the wishes of the Israeli government and military top brass. Israel has offered to double its supply of water to Gaza, from 10 million cubic meters per year to 20 million, but the PA is yet to accept the offer. Furthermore, in September 2015, Israel approved construction of a natural gas pipeline to Gaza to provide cheap, efficient energy to Gaza’s citizens. However, again the PA has yet to sign a deal with any gas supplier. Maj. Gen. Yoav Mordechai, who heads COGAT, the branch of the IDF responsible for civil matters in Gaza and the West Bank, has twice in the past ten months warned the international community of Gaza’s humanitarian crisis. However, Israel has acceded to Abbas’ requests to cut Gaza’s power, and refused to overrule his decision to limit the strip’s water and gas supply, in part because Jerusalem relies on security cooperation with the Palestinian Authority to prevent terror attacks emanating from the West Bank, but also because the Palestinian Authority has had responsibility for some civilian infrastructure decision-making in the strip under the Oslo II agreement of 1995. Though Israel unilaterally withdrew from the Gaza strip in 2005, it retained control of most land, sea, and air access to the strip. Israel limits imports of building materials to the strip in order to prevent Hamas strengthening its tunnel infrastructure and to restrict the flow of rockets and arms into the coastal enclave. The election of Islamist hardliner and blacklisted terrorist Yahya Sinwar as Hamas’ leader in Gaza this February has ensured there is little chance of Israel loosening its blockade of the strip. The people of Gaza are the ultimate victims of this political struggle between Hamas and the PA. However, in the past two months, an unlikely political saviour has emerged: the exiled Palestinian political leader Mohammed Dahlan. Following a series of behind-the-scenes talks in Cairo, a document leaked to the Palestinian Ma’an News Agency last June detailed a potential agreement between Hamas leader Sinwar and the former Fatah powerbroker Dahlan. In the draft agreement, Dahlan would return to the strip as its head of government, responsible for foreign affairs, negotiations with Israel, and civilian infrastructure. In return, Hamas would not be required to disarm and would retain overall security control of Gaza. It would also end the possibility of a future war with Israel or a Gazan domestic uprising, either of which could bring down Hamas rule. Dahlan’s return to the strip would complete a remarkable turnaround in his relations with Hamas, as the two were previously fierce enemies. Dahlan was leader of the Palestinian Authority’s Preventive Security Force in Gaza, established after the Oslo Accords, where his role consisted mostly of rounding up and imprisoning Hamas operatives, many of whom accused him of torture. Dahlan was also Fatah’s leader in Gaza at the time of Hamas’ election in 2006, leading the ultimately unsuccessful fight against Hamas in the 2007 Gaza civil war. Dahlan’s reconciliation with Hamas has been made possible by both the support of Egypt and the opposition of Mahmoud Abbas. The support of the Egyptians for any deal is key, as President Sisi could relieve the strip’s economic woes by opening the Rafah crossing. Meanwhile Dahlan is Abbas’ most significant internal rival, and therefore by accepting the deal, Hamas can relieve itself of the pressure placed upon it by Abbas without acceding to full Fatah control. For Dahlan himself, a return to Gaza would secure his political comeback and he would be seen as the saviour of the strip. Should the deal occur, President Abbas’ authority would be severely undermined. The planned deal is not without its international dimension too. 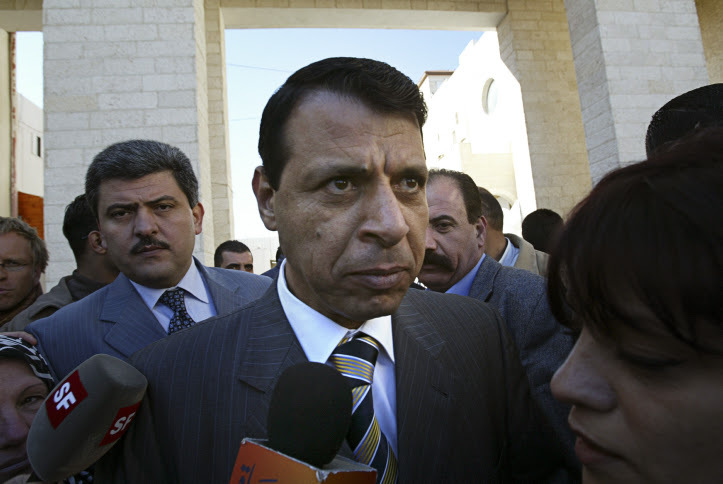 Dahlan is currently living in exile in the UAE, having been expelled from Fatah’s ruling body in 2011. The UAE and Egypt have a shared interest in installing Dahlan in Gaza due to their wider regional attempts to isolate Qatar, which is currently the most important foreign patron of Hamas. By installing Dahlan, who is currently an adviser to UAE Crown Prince Mohammed bin Zayed, the UAE would effectively usurp Qatar, and by introducing the more moderate Fatah leader, the UAE would also dramatically improve its relations with Israel. Should the Dahlan deal succeed, it could dramatically reshape the Israeli-Palestinian peace process. The presence of Hamas has long acted as an obstacle to a two-state solution, due to the Islamist group’s rejection of the peace process and its constant rocket and terror attacks. At a symbolic level too, Hamas control of Gaza serves as a persistent reminder to Israelis of the dangers of withdrawal. On the other hand, Palestinian Authority Mahmoud Abbas would be greatly diminished should Dahlan return, limiting his ability to sign any significant agreement with Israel. The octogenarian leader is, however, already politically weak and losing popular support, with Fatah officials jockeying for position to succeed him. Should Dahlan return and Abbas lose power, the chances of Palestinian reunification would dramatically increase. Nonetheless, an agreement currently only exists on paper. Some in Hamas fear Dahlan’s return would be a first step toward full Fatah control of Gaza, whilst Abbas retains considerable political influence in Arab capitals that he could leverage to stop a deal. Dahlan’s return is far from assured, and Gaza’s residents continue to suffer.